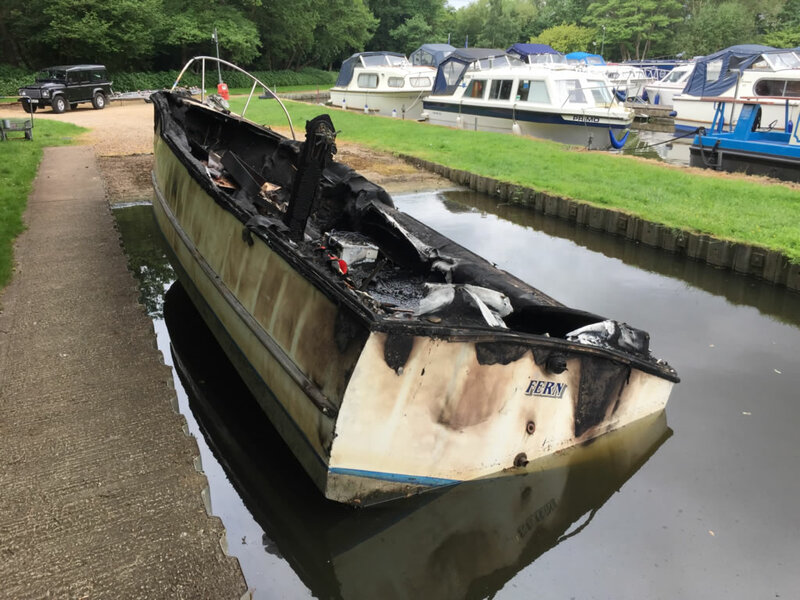 Boatbreakers were recently called by a marine surveyor to come and recover a fire damaged scrap boat from Pyrford Marina in Surrey. The boat was a Freeman 22 riverboat which was completely gutted by the blaze. According to the former owner and other boat owners at the Marina the fire gutted the boat from start to finish in under 10 minutes. Apparently it was caused by an undetected gas leak that caught a spark when the engine was turned over. No one was hurt in the fire and no other boats in the marina were damaged. 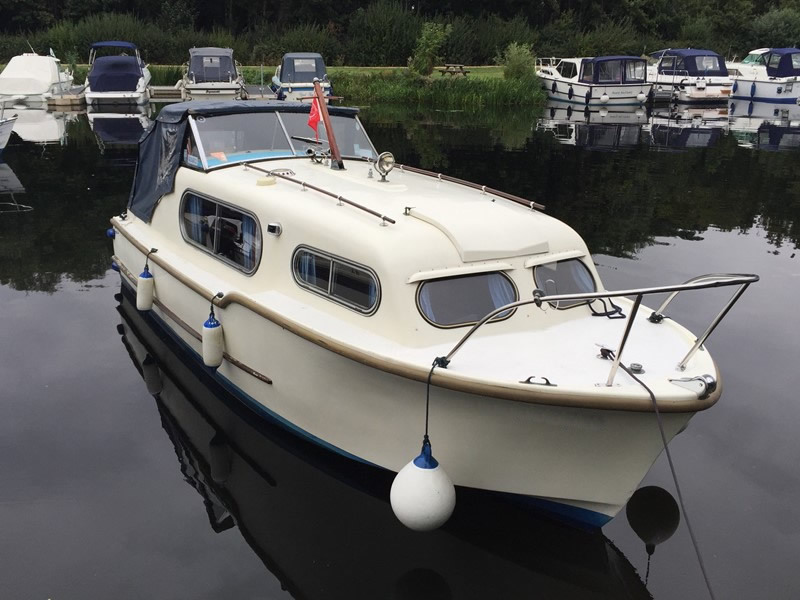 The Freeman had been towed around to the slipway at the marina so it could be winched out of the water with relative ease, well that’s what we thought anyway. 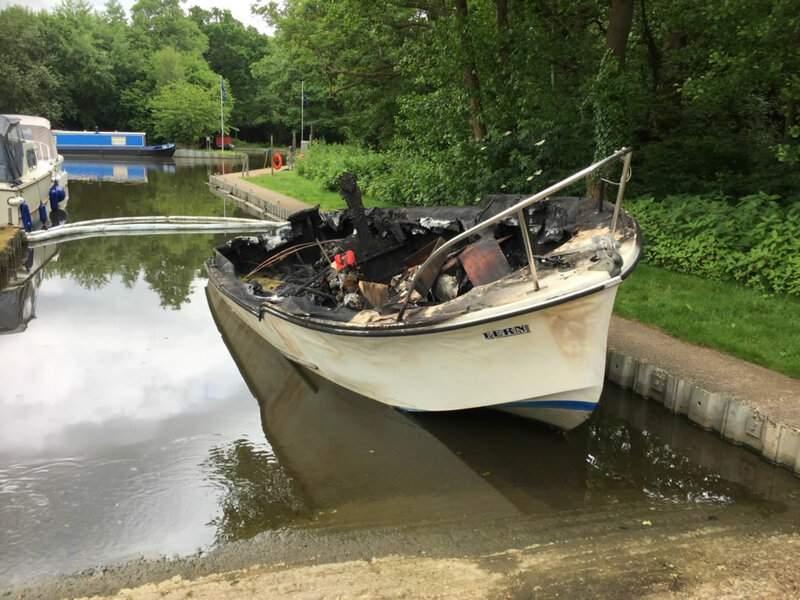 When our team arrived it became clear that the water that was used by the fire brigade to extinguish the fire was still inside the boat. This meant that instead of floating the boat was weighed down and sat on the slipway. The next step was to return to the marina with a high powered water pump and a water tank to pump the waste water into. Despite us initially thinking there was lots of oil mixed into the water it became clear that the water was just black because of the charcoal remains of the boat’s wooden topsides. It still took us a while to clear all the water as the pump was constantly getting clogged by the charcoal fragments. Our team realised that we needed something to filter out the pieces and we decided that a £3 wire-mesh bin would do the trick. 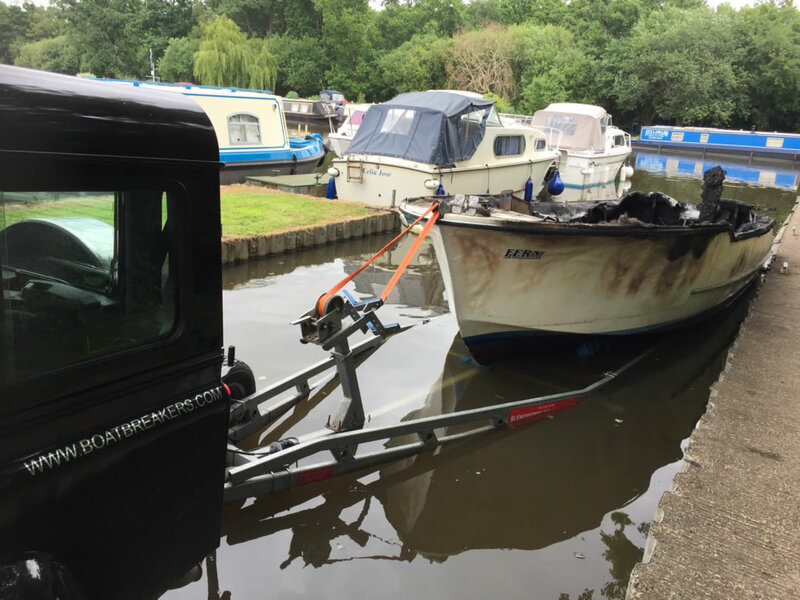 We eventually removed around 3 tonnes of waste water and the boat was able to be re-floated and manoeuvred onto our boat trailer. Once the boat was back to our yard in Portsmouth it was crushed down and the waste fibreglass pieces were sent to landfill.